Sir Alex Ferguson has never broken into a cold sweat worrying about the impact speeding is having on the safety and efficiency of his fleet. So you would be justified in wondering what tips he could possibly offer for the smarter management of company vehicles. Well, the leadership principles applied by sports coaches in the pursuit of success are often transferable to business and there are certain practices used in managing a team of sportspeople that might equally have value for a team of mobile workers. So we’ve taken a look at lessons from five of the most successful coaches in the world of sports to see how they might translate to fleet. One of the most successful rugby union coaches of all time, Henry was the first British Lions coach from outside the Home Nations and the leader of the fearsome New Zealand team that won the 2011 Rugby World Cup. Over a period of seven years, Henry coached the All Blacks to an impressive 88 wins in 103 tests. Practical application: A positive culture is one of the cornerstones of any programme designed to achieve improvements in efficiency or safety across a vehicle fleet. This means it is important to get drivers on board with any initiatives right from the start, include them in consultations, allow them to ask questions and give them the opportunity to provide their own input. Schemes that target driver behavior tend to achieve the greatest results when they are founded on collaboration, and drivers can see the benefits for themselves rather than being forced into line. As head coach of the New England Patriots of the National Football League (NFL), Belichick has won 14 AFC East division titles and five Super Bowl titles, finishing as runners-up in a further two. He has been named Associated Press NFL Coach of the Year three times, in 2003, 2007 and 2010. Practical application: When it comes to the management of vehicles used for work purposes, companies are relatively blessed with a wide range of data that can deliver valuable insights into existing operations and opportunities for improvement. Thorough preparation relies on good analysis of this data, in the same way, Bill Belichick and his team will study reams of footage on their opposition in order to find areas where they can gain a competitive edge. 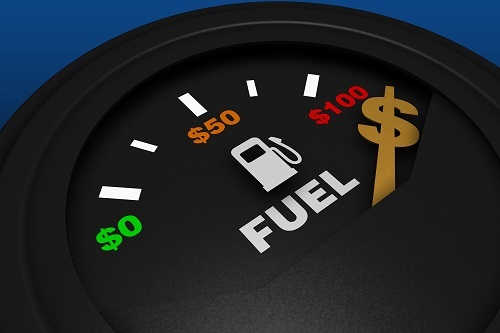 Start with the data that is easily available – such as driver license data, the cost of fleet insurance premiums or claims, maintenance spend and fuel spend – and establish benchmarks to compare your current performance averages against peers and desired goals. 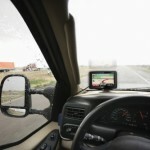 This can help to identify top-level trends that might be having a negative effect on performance before further initiatives, including risk assessments, driver assessments, and telematics, can be used to add extra layers of data that provide even deeper insights and help the identification of root causes. During his 26 years as manager of Manchester United, Ferguson won 38 trophies, including 13 Premier League titles, five FA Cups and two UEFA Champions League titles. He is also the joint-most successful manager in top-tier European club competitions after picking up seven European trophies, equal to Giovanni Trapattoni and Carlo Ancelotti. Lesson: “I don’t think many people fully understand the value of observing. I came to see observation as a critical part of my management skills. The ability to see things is key—or, more specifically, the ability to see things you don’t expect to see. Practical application: Early in his management career, Sir Alex Ferguson discovered he could have more of a positive impact on his players if he left the nuts and bolts of day-to-day training to his assistants and assumed a more observational role. This tactic can be applied to fleet management by establishing appropriate systems and processes, underpinned by the proper management and analysis of data. When managers feel able to trust these processes – and the various team members responsible for their successful operation – they may be freed to focus more on the more human aspects of management and ‘leading’ their people. This can be done safely in the knowledge that the existing systems and processes will ensure problems are brought to their attention when action is required. As head coach of the University of Tennessee Lady Vols basketball team for almost 40 years, Summitt tallied 1,098 wins and eight NCAA national championships. Summitt’s feats earned her a spot in the Naismith Basketball Hall of Fame in 2000 and the honor of Naismith Coach of the Century in the same year. These honors were followed by the Presidential Medal of Freedom, presented by President Barack Obama in 2012. Practical application: It is not only management which benefits from regular performance feedback. 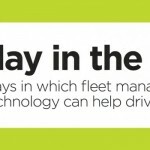 Drivers also thrive on feedback, as it can help to provide them with focus and help them feel invested in any initiatives designed to improve fleet performance. OptiDrive 360, for example, actually provides drivers with in-trip feedback via their in-vehicle driver terminals, offering notifications of infringements and predictive advice to help reduce fuel consumption. But feedback can take many forms. A number of organizations find driver league tables to be a useful tool, comparing performance across teams and individuals to generate a spirit of healthy competition, while one-to-one briefings with driver assessors can be particularly useful to understand the circumstances behind incidents that have occurred on the road. Lesson: “The whole principle (of the ‘marginal gains’ theory) came from the idea that if you broke down everything you could think of that goes into riding a bike and then improved it by 1%, you will get a significant increase when you put them all together. Practical application: Programmes to improve the performance of business vehicles can become so wide in scope that, sometimes, it is possible to lose sight of the little things. However, there are a number of areas, from maintenance to driving style, where seemingly ‘minor’ improvements can be achieved that may contribute to overall success. For example, some companies have found that giving their drivers small perks such as car wash vouchers can make a difference to their overall attitude. Encouraging drivers to take care of their company vehicles can help to instill a sense of pride that also manifests itself in a more careful, considerate driving style.